New York State Class AA Football Scholar Athlete of the Year. 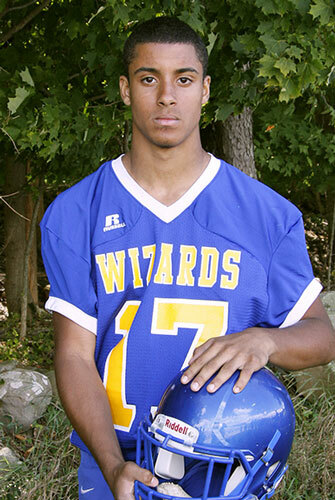 The Washingtonville Wizard Football Program is proud to announce that senior, defensive-back Tim Henry has been selected as the New York State Class AA Football Scholar Athlete of the Year. The award is given annually to an athlete that has demonstrated continuing excellence on the field and in the classroom, as well as demonstrating positive involvement in school, and community, affairs. Upon graduation, Tim plans to attend college, where he will pursue a degree in Engineering. Tim is scheduled to be honored at the annual New York State High School Football Coaches Association Awards Dinner on Friday, February 6th.